As young girls, they vowed to be best friends forever—a promise they kept through happiness and heartbreak! Now these four Texas Sweethearts are all turning thirty. In spite of busy lives, full-time careers, and an assortment of beloved animals and meddling townsfolk, true love is destined to surprise each one of them in the magical little world of their own hometown. Ten years ago, Sunny Carmichael left Hope Valley, Texas and became a veterinary disease specialist—a darn good one! When her meddling, matchmaking mother urges her to come home to investigate the mysterious deaths of several cows before news spreads and ruins the local cattle industry, Sunny reluctantly agrees, even though she will likely run into the man who broke her heart and caused her to flee her small hometown so long ago. Jackson Slade never forgot the girl who got away. But he had to put the painful past behind him and move on with his life. Now a widowed, single-father, he is raising his quiet little girl alone on his ranch that is suddenly losing cattle. With his livelihood and life in possible jeopardy, the last person he expects to find nosing around his herd is the very same woman he's tried to forget—Sunny Carmichael. 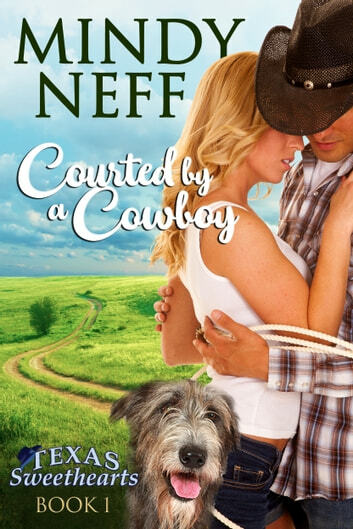 Although this Texas Sweetheart is not home to stay, it isn’t long before the passionate spark that fired their youthful romance quickly blazes into a scorching flame. 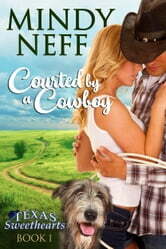 Now Sunny and Jack have two problems on their hands: a deadly cattle epidemic and their undeniable attraction!